This week we have Apple news. And depending on your level of Apple fanboyism, you will like this week’s news or not. We have Apple releasing two new iPhones in addition to it’s current line of iPhones, so we have 4 iPhones to choose from now. Additionally we have the Apple Watch, making Apple’s portfolio of mobile devices the larger than they have ever been. Lift Labs, a startup founded to help Parkinson’s patients eat by developing and manufacturing “tremor-cancelling” devices has been acquired by Google. Google’s research division announced this acquisition on Wednesday, but declined to disclose financial terms of the deal. The startup developed Liftware, which is a $295 spoon which cancels out 70% of the tremors from trembling hands according to the company’s studies. 4.93m Google account information leaked. Google says ‘no evidence’ its systems were compromised. According to a report going around the web, 4.93 million Google usernames and passwords have been published to the Bitcoin Security Forum by Russian hackers. The good(-ish) news is that the leak is not as bad you might think. The leak is mostly comprised of older passwords, and the user publishing the leak claims that only 60 percent of the passwords were valid. What you can do to check if your account has been compromised? We recommend not checking but instead turning changing your password as soon as possible and turning on two-step authentication if you haven’t done so already. However, if you absolutely need to check, you can go to this link http://yaslit.ru/ and put your email address in. Green means it is safe, while red means it has been compromised. Keep in mind though, that any email addresses you enter can be saved by the website. Google merges Google Voice into Hangouts; introducing free voice calling to phones in the United States and Canada. There have been reports that Google is officially merging Google Voice into Hangouts (finally!). This will allow you to receive your Google Voice calls and voicemails on Hangouts on your Android or your PC. This also means that incoming text messages on your phone will also land on Hangouts on your PC and you can reply from your PC. The new features will be available with an update to Google Hangouts. The update will also bring you other features like free voice calling to phones in the US and Canada. According to TechCrunch, prices for calls to other countries have also been slashed, with some down to $0.01. 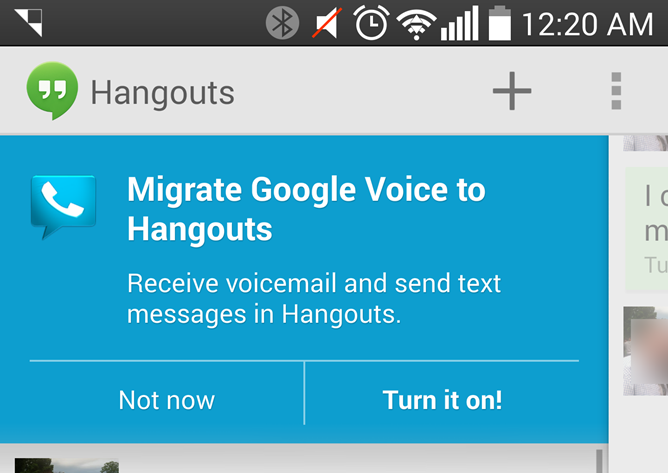 Additionally, you no longer need a Google Voice number to call on Hangouts. Philips beat Apple at Lightning headphones while Apple was busy launching iPhones. 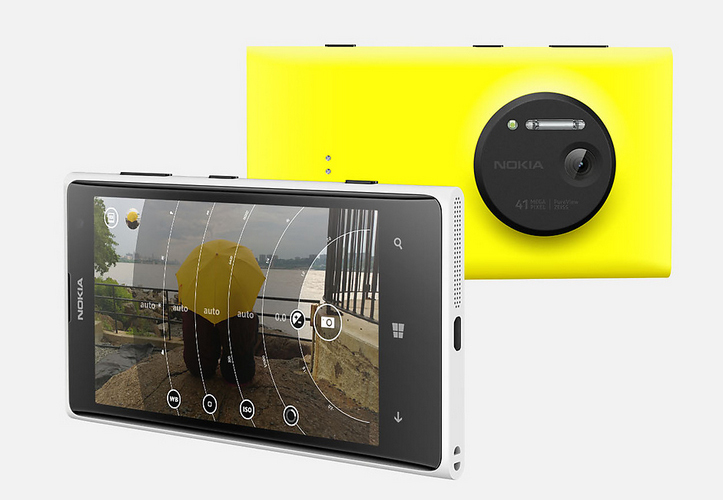 Last week Apple wasn’t the only ones debuting new Apple-related hardware. Dutch tech-giant Philip debuted Philips Fidelio M2L, the first Lightning headphones which will connect to the Lightning port on current and future iPhones/iPads/iPods. The digital connection via the Lighting port will allow lossless, high-quality audio. 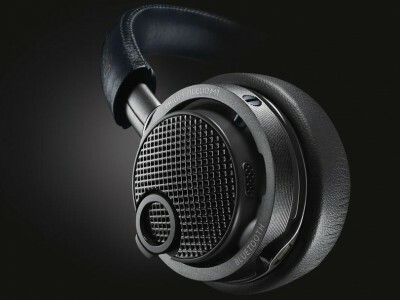 The Philips Fidelio M2L will cost €249.99, and while they are reportedly heading to stores in the US, we do not have any official word on when they will be retailing in the US and in other parts of the world. “Nokia” logo on Windows Phones to fade away. Since the Nokia-Microsoft deal, we saw the end of the iconic Finnish company’s mobile division, but according to a report from Geek on Gadgets, we might soon see the end of the iconic Nokia logo on Windows Phones. Infact, the report also says that as Microsoft is transitioning to the next generation of their Lumia smartphones, they are planning to ditch the “Phone” part of the “Windows Phone” logo, leaving it with only “Windows”. Intel and Dell have a love child. And it is beautiful. Dell is not a company known for successful tablet (Streak?). But Michael Dell went on the stage again last week at the Intel Developer Forum with their newest tablet, with collaboration from Intel, in hand. In his hand was the Dell Venue 8 7000 Series tablet which, despite the boring name, looks like an amazing tablet. The tablet will be the first to feature Intel’s RealSense technology which uses three camera’s on the back for intelligent depth mapping and post-capture refocusing. The tablet comes with an Intel processor inside a sleek 6mm thin aluminum unibody, making it the thinnest tablet in the world. The 8.4-inch OLED display comes with a Quad HD (2,560 x 1,600) resolution that should give us superb clarity and sharp images. The bezels of the display are also incredibly thin with three edges having almost no edges. Tim Cook took to the stage last week at a highly anticipated Apple event and released not one, but two iPhones: the iPhone 6 and the iPhone 6 Plus. The iPhone 6 comes with a 4.7” “Retina HD” screen with 1334 x 750 pixels which gives it a ppi of 326. The display comes with, what Apple claims to be, a dual domain pixel layout which allows for wider viewing angles. Despite the rumours which had been circulating, the iPhone 6 display is not made out of sapphire crystal or even coated with sapphire. It is the same old screens we found in older iPhones. The new iPhone 6 comes with Apple’s new dual-core A8 processor with quad-core graphics alongside an M8 motion coprocessor which can detect motions and feed it to fitness apps like Apple health to conserve battery. Other features of the new iPhone 6 include Apple Pay which uses NFC technology to pay for at shops like Google Wallet, and the TouchID fingerprint sensor stays. The iPhone 6 is available in 16, 64, and 128GB of storage and 1GB of memory. iPhone 6 comes in gold, silver or space gray, and will be available in the US for a suggested retail price of $199 (US) for the 16GB model, $299 (US) for the 64GB model and, for the first time, a new 128GB model for $399 (US) with a two-year contract. a 5.5” “Retina HD” screen with 1920 x 1080 pixels giving you a ppi of 401.
a better 8MP iSight camera with auto image stabilisation. iPhone 6 Plus comes in gold, silver or space gray, and will be available in the US for a suggested retail price of $299 (US) for the 16GB model, $399 (US) for the 64GB model and $499 (US) for the new 128GB model with a two-year contract. The Apple Watch, was one of the most hyped, rumoured about product for about two years now. Apple fanboys, designers all came up with designs of how their ideal Apple Watch, or iWatch should look like, and it is finally here. The Apple Watch is, disappointingly, rectangular and comes in three versions and two sizes. Prices start from around $350. 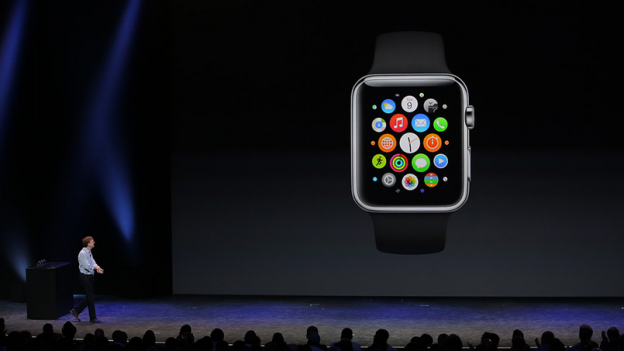 More about our opinion on the new Apple Watch here. More info on the Apple devices at http://store.apple.com/us. (Four) Android apps officially on Chrome OS. Because Google built the entire stack for Android into Chrome OS, theoretically, it should not take long for us to see even more Android apps on Chrome OS. As for the four apps above, you can get them on the Chrome OS Store.